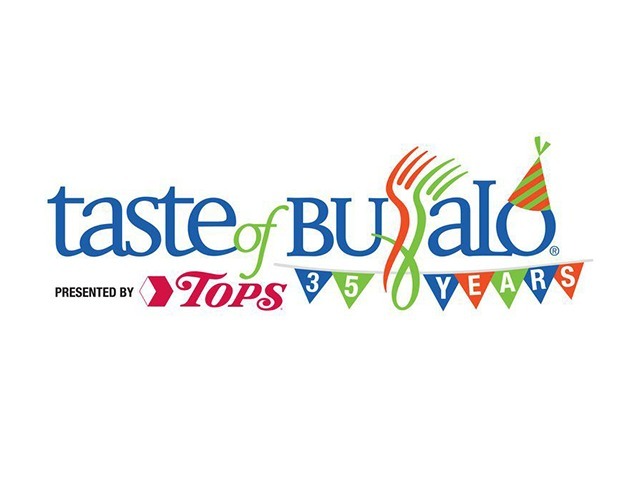 The Taste of Buffalo presented by Tops today announced that several local restaurants were named award winners in a variety of categories at the 35th annual festival. The judging took place Saturday morning, July 7th, by a panel of representatives from the local media, including Buffalo Healthy Living's Associate Publisher Shannon Traphagen, along with members of Western New York's political and business sectors. 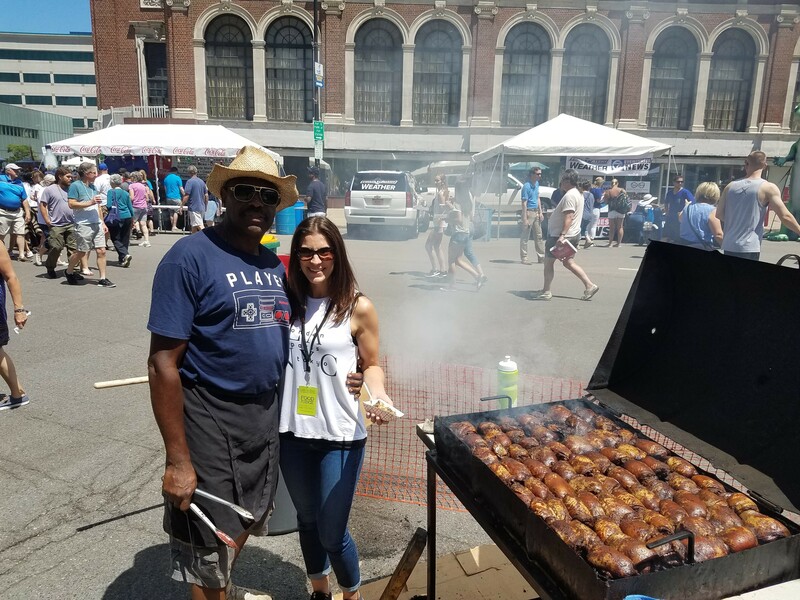 This year, festival organizers introduced several new awards including The Buffalo News Gusto Critic's Choice Award, which went to SEAR (Buffalo) for their Guajillo Roasted Hog Taco and the Yelp's Choice Award, which Fat Bob's Smokehouse (Buffalo) earned for their Smoked Watermelon. This year, the Taste inducted Louie's Hot Dogs, Chrusciki Bakery, Caribbean Experience, and Merritt Estate Winery into the inaugural class of the Taste of Buffalo Silver Fork Club. The club was introduced as a way to honor restaurants and wineries that have been involved in the Taste for 25 years or more. The Taste continues today, Sunday, July 8 from 11 a.m. to 7 p.m. along Delaware Avenue and Niagara Square in downtown Buffalo. Look for Buffalo Healthy Living magazines at the Hospitality tent at the Taste of Buffalo, Spot Coffee and the Hampton Inn hotel on Delaware Avenue. The Taste is a not-for-profit organization with an all- volunteer board, a festival coordinator and more than 1,000 volunteers helping to put on the annual event. Each year, the Taste partners with various non-profit groups to staff our ticket and beverage tents with their volunteers in return for a donation. And, after all the expenses are paid, the Chairman donates the remaining monies to the Food Bank of WNY and other charities. The festival also offers five annual $1,000 scholarships to local high school seniors pursuing a culinary or hospitality-related degree. To date, more than $500,000 has been donated back to the community thanks to purchases made by Taste festival-goers. New this year, two additional one-time scholarships were made possible thanks to Smithfield Foods and a generous Taste partner.